I’m Melissa, the owner, designer, and brand stylist behind this studio. Through running my own DIY & Food blog for the past 6 years and working with hundreds of bloggers to help establish a strong online presence through branding and design, I’ve been able to determine exactly what bloggers need and have tailored my studio specifically to the needs of professional and business-minded bloggers. I am here to transform your passion into a visual brand that can speak for itself. I will work with you one-on-one every step of the way to create an unforgettable brand that elevates your content, speaks to your readers, and appeals to brands. 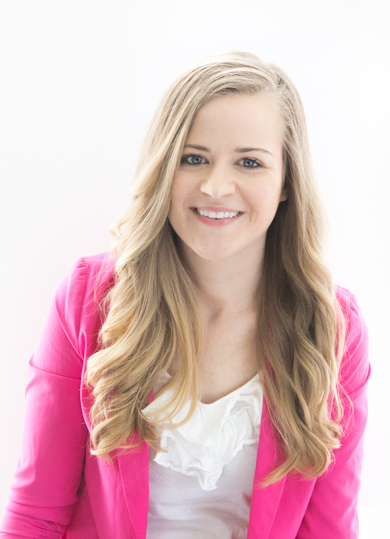 Melissa Rose Design was born out of a entrepreneurial drive and a passion for helping creative business owners cultivate their dream brand through design. Together, we will dig deep into your brand to ensure that your final look is authentically YOU. I don’t just want to give you a beautiful & polished design, I want to give you an unforgettable client experience that launches your blog into a whole new realm of opportunity. With a degree in Graphic Design, a simple and innovative approach to design, and a passion for working with creative entrepreneurs and bloggers, I can help you bring your vision to life. Note: As of 2015, I have partnered with Lauren at OnceCoupled.com to handle all the coding/development of my WordPress blog designs. I’m very excited to offer this to clients, as it means that you will get two different forces (each with our own specialty!) to not only make your site beautiful and aesthetically functional, but also built to be a robustly coded website. To put it simply, I live & breathe design (ahem, my blog isn’t name Design Eat Repeat for nothing!) and I put that passion into every single project. Although I’ve been a crafter, baker, and kitchen gadget hoarder since the age of 7, it wasn’t until college when I realized I could combine my love for design with my love for food and crafting. My career has taken me down some crazy roads from designing magazines for Better Homes & Gardens Food Publications, inventing & designing crafting tools & products (like this!) for WeR Memory Keepers, and Art Directing the Sweet Sugarbelle & Sweet Tooth Fairy food crafting product lines for big box craft stores like Michaels, Hobby Lobby, and Joanns. Through all these amazing experiences (both fun & challenging! ), my heart has continued to pull me back to helping creative entrepreneurs & food/DIY bloggers elevate their brand through design and visual storytelling. I refuse to settle for “just good”, in my work (and in chocolate cake) and each & every one of my clients receive that 110% get every detail perfect. Let’s create that amazing thing together. Because of the beauty of the internet, I’ve been able to work with bloggers from all over the world (from my home state of little ol’ Iowa all the way to Australia, London, and Germany). No matter where you live, my streamlined system and process allows us to effectively communicate your vision from afar. PS. In addition to custom work, I also run a FREE facebook group, Design Clubhouse, to help professional Food & DIY bloggers create beautifully branded blog graphics with confidence. Hop on over, we’d love to have you!